Reebok Question Mid "#1 Pick"
We can look forward to receiving more old school Reebok heat in the near future, as above we get a look at the "#1 Pick" iteration of the iconic Question Mid. 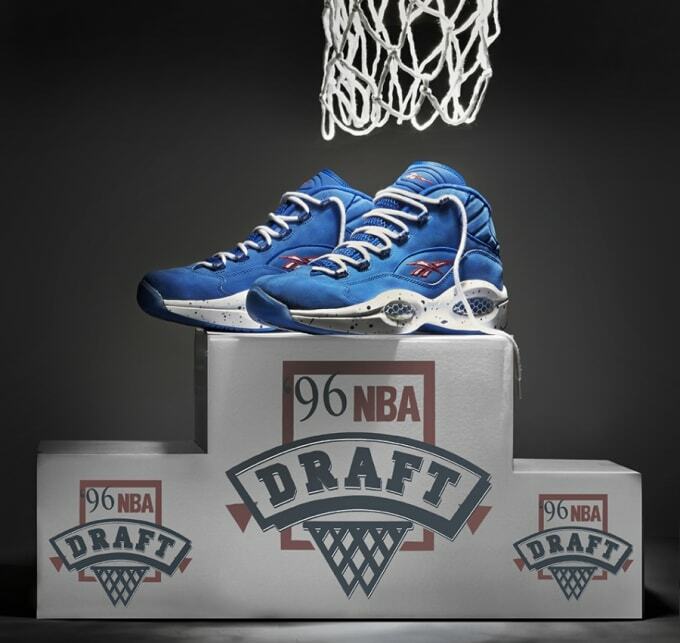 Of course as a nod to AI being selected as the number one overall pick in the 1996 NBA Draft, the Reebok rendition showcases a Philadelphia-proper blue, white and red look. A speckled effect draws nice attention to the midsole, as "1" tagging has been highlighted at the heel of this edition. You can look for the #1 Pick Question Mids to arrive on August 23 and to retail for $125.